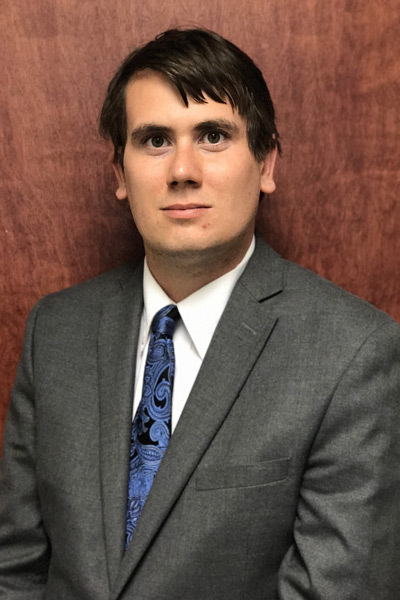 Adam Conder is a law clerk at RS Law, L.L.C. He is currently working toward attaining his J.D. and is a second-year law student at the University of Missouri-Kansas City. His legal interests include Tort Law, Family Law, Contract Law and Intellectual Property. Adam received his Bachelor’s Degree in Philosophy from the University of Missouri-Kansas City in 2014. While pursuing his bachelors, he involved himself with the Department of Philosophy and for a period enjoyed being a Research Assistant for one of his professors. After spending some time in the job market, including a stint in management at Goodwill Industries International, Inc., he realized that the degree which taught him how to argue would be better utilized in the legal field. His interest in Family Law comes from personal experience. When he was a child, his parents divorced. Adam understands that a divorce can be an emotionally and mentally tumultuous time. This is even more true when children are involved. Having gone through the experience, he knows the need for sympathy, understanding, and compassion for the parties involved. When he isn’t glued to a computer screen working on cases, or glued to a large dusty legal tome, he enjoys spending time with his fiancé Katie, catching up with friends and playing with his Boston terrier, Ernie. You can reach him at 816-287-8080.